Child Family Health International’s Quito, Ecuador Medical Director Dra. 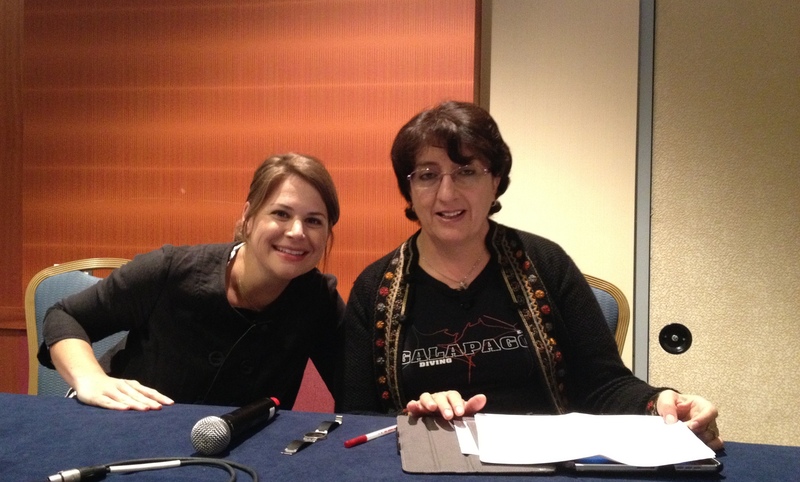 Susana Alvear and Global Medical Director Dr. Jessica Evert were featured in the closing keynote address of the 9th Annual AAFP Global Health Workshop. Nearly 300 attendees from 25 countries attended to share ideas, evidence, and inspiration on topics ranging from global health education at US institutions to the proliferation of family medicine around the world to the ethical challenges of global engagements. Drs. Alvear and Evert presented on the realization of ethical aspirations- breaking down ethical concepts into practical topics and tangible actions. The presentation was warmly received. Dr. Dan Ostergaard, AAFP’s Vice President for Health of the Public and Interprofessional Activities emphasized the application of CFHI’s motto “Let the World Change You” for all trainees, faculty, and physicians active in global health. He also emphasized the concept drilled home by Drs. Alvear and Evert that we should really speak of “Toward Equity” rather than “Equity” itself given the gross disparities around the world. Drs. Evert and Alvear emphasized the ability of institutions and individuals from developed countries to highlight the value of assets in developing country contexts—for example, richness of culture, strong traditional medicine practices, resourcefulness, rather than emphasizing the disparities of financial resources in order to ‘level the playing field,’ a concept originating from CFHI’s former Executive Director, Steve Schmidbauer. Great respect and admiration were expressed for CFHI’s leadership, program structure, and partnership model. This entry was posted in Cultural Humility, Ethics, Global Health Education, Global Health Elective, Local Experts, medical electives, Rotations, Uncategorized and tagged aafp, alvear, cfhi, child family health international, ethical challenges, ethical concepts, evert, family medicine, Global Health, global medical, keynote address, medicine practices, ostergaard, partnership model, quito ecuador, schmidbauer, traditional medicine on September 17, 2012 by Jessica Evert, MD.